Your feet spend around 50 hours a week in work shoes. Depending on your profession, you may need specific apparel, occupational footwear or waterproof safety wellington boots of some kind. There is, however, one thing everyone wants, no matter the profession – comfort! engelbert strauss offers excellent and comfortable safety boots for men and women that guarantee the correct protection of your feet. 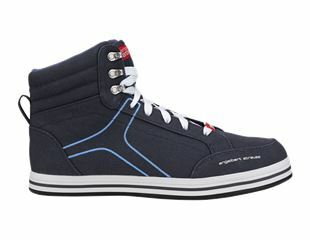 12cm foot width: The perfect fit and the use of innovative materials are the features of these models. The latest sole development is extremely comfortable thanks to the very wide and spacious last shape. 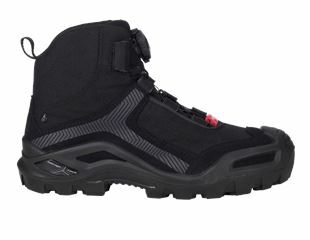 Which safety boot is right for me? “What do you do for a living?” That is the first question our shoe experts will ask. Finding the right footwear means first and foremost: deciding on the right level of protection. SB, S1, S1P, S2, S3, S4, S5 – What safety class do you need? Someone stumbles, slips or falls in the workplace every day – amounting to more than 1,000 work-related accidents. Injuries to the upper and lower ankle are the most frequent results. Mid-ankle work shoes (Mid) and boots protect the ankle joint and tendons against strain injuries, while the foot is fully supported and protected. Waterproof rigger boots with a high shaft are a great choice for those working outdoors, as they provide the safety you need and keep your feet dry, warm and protected. Sicherheitsschuhe und Sicherheitsstiefel müssen der Europäischen Norm EN ISO 20345 entsprechen. Dafür werden sie einigen Tests unterzogen und müssen bestimmte Prüfkriterien erfüllen. Grundanforderungen für die EN ISO 20345 sind Zehenschutz und Rutschhemmung. Stahlkappen bzw. Zehenschutzkappen aus leichtem Aluminium oder Kunststoff bieten Schutz vor starkem Druck und Stößen. Die Rutschhemmung der Sohle wird in SRA, SRB oder SRC angegeben. What do SRA, SRB or SRC stand for? What do the abbreviations HRO, HI, CI, ESD, etc. stand for? 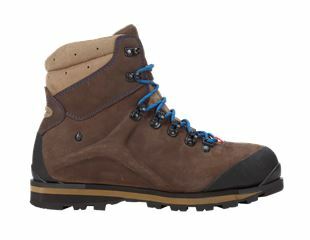 In some industry sectors, occupational footwear like waterproof rigger boots or safety boots with steel toe caps are a mandatory part of your workwear. Important issues are also waterproofing and heat or cold insulation. All of these have their own identifying abbreviations. 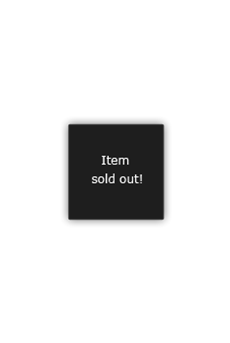 Some workplaces are classified as Electrostatic Protected Area or ESD workplaces, for which special workwear is required. In accordance with current ESD standards, max. permissible electrostatic charge values must be identified for ESD protected areas. Occupational footwear and safety footwear with ESD function must comply with the requirements set out in DIN EN 61340. 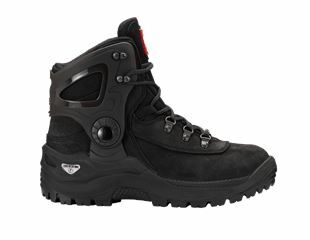 Rigger boots with the HI mark offer complete protection against burns on the soles of the feet at surface temperatures up to 150°C and even steel caps will have no negative impact on the temperature inside the safety boot. Safety shoes, safety low shoes and/or safety work boots with the HI mark are required specifically for road construction and the footwear must also offer SRC-compliant anti-slip safety. HRO specifies the behaviour during short-term contact with heated surfaces up to 300°C. For welding shoes in particular, like our e.s. S3 Pleione welding safety boot, short-term heat resistance is an absolute must. In winter, S3 work boots offer the perfect double-effect of safety and comfort. The CI mark identifies safety footwear with a cold-insulated substructure. CI safety shoes ensure a temperature drop of no more than 10°C within 30 minutes at outside temperatures of -17°C. The e.s. S3 Polaris safety boot high by engelbert strauss is comfortable, robust and warm, and a great leather boot with cold-insulated outsole. The seamless finish of the areas that have to resist the most stresses and the dryplexx® membrane will keep your feet completely dry. Polaris is available as a mid-ankle (Mid) S3 safety shoe and as a waterproof S3 rigger boot (shaft height 24 cm) in either brown or black. Our e.s. S5 Kore high safety boots and x-high safety boots are completely waterproof and excellent cold blockers with an S5 safety level – the perfect apparel for extreme jobs. This neoprene boot is the companion you want in driving rain and extreme cold. When do I need soles with penetration protection? In any work environment, where you might step on nails, broken glass or any other sharp objects, safety footwear with penetration protection is an absolute must, i.e. the footwear must be compliant with EN ISO 20345. A steel midsole or soles made of textile fibres with a ceramic coating are what you need – and the models of the classes S1P, S3 and S5 are just that. Why should you choose S3 if the safety class S5 already covers all eventualities? Well, S3 shoes are more attractive than their S5 counterparts, because they are offered in a variety of finishes like leather, textile, microfibre and more – and they are available in various colours. What’s more: they are extra comfortable. A plastic or rubber exterior is required for S5 to guarantee 100% waterproofing. S3s, however, only have to offer membrane-aided waterproofing up to 60 minutes, which means they are more breathable. When are Safety Wellington boots a must? Wellingtons have long since grown past the job they were originally designed for - simple waterproofing. Today, these safety wellingtons are used in a variety of industries. Great examples are agriculture or the food processing sectors. They have also proven as invaluable gear for working in environments with oils, acids and all kinds of chemicals. When are S5 Safety Wellingtons a must? 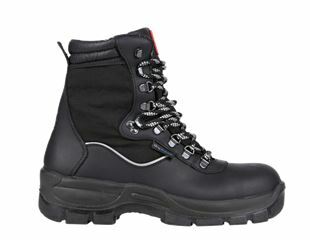 Wellingtons of the highest safety class S5 – like our Kore – offer everything you want in terms of safety and protection. They are completely impervious to water, have an anti-slip tread and integrated penetration protection. A steel toe cap or a lightweight toe cap made of aluminium or composite material will also be included to keep your toes safe. In short: our Safety Wellingtons have all the S3 characteristics you want, plus complete waterproofing. Farmers have to deal with a whole range of contaminants like micro organisms, acids, lime, lye, slurry, oils, grease, petrol and faecal matter. Our S5 Farmer safety boots are perfect for the job and offer the added bonus of protecting the shin, ankle and sole of the foot. It is also slip-resistant in compliance with SRC. Food processing environments are tricky in terms of compliance. The perfect choice for workers apparel here are our dirt-repellent white S4 Safety Wellingtons. They also offer limited resistance against oils, grease, acids and lye, and complies with highest SRC slip-resistance requirements. Our SB Timberman II forestry safety boots are KWF-tested and the perfect choice for forestry and lumber work. 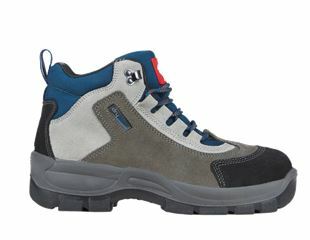 A great alternative is the S2 Alpin forestry safety boot, which is, of course, also KWF-tested and FPA-approved. Finding the footwear you need couldn’t be easier! Filter for the key characteristics you want – including the required safety level, colour or size. Additional filter options for engelbert strauss safety footwear are width, upper, lining type and any special features you would like. The perfect safety boot is just a few clicks away!